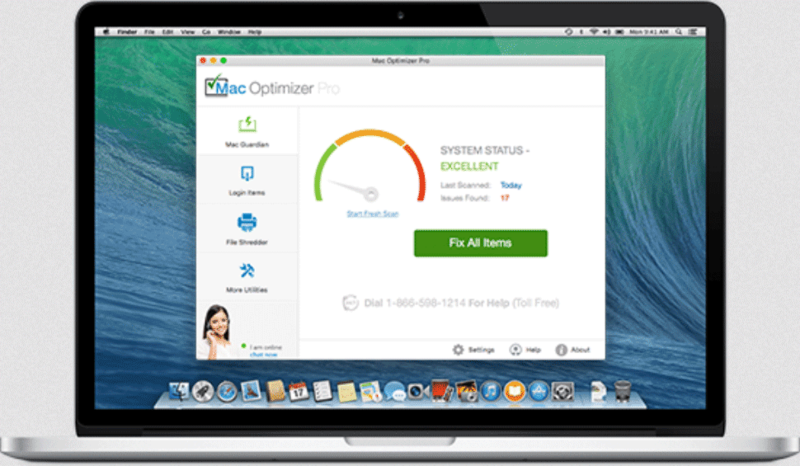 This article will help you to remove Mac Optimizer Pro absolutely. Follow the removal instructions for the unwanted software given at the end of this article. Mac Optimizer Pro is a potentially unwanted program (PUP), and it is developed by a company called Xportsoft Technologies Pvt Ltd. The company is tied to applications which are considered PUPs and is also known to put different advertisements in their products to promote other software they have developed. Adding to that, scare messages might appear trying to trick Mac users into installing other PUPs. If you have Mac Optimizer Pro installed on your Mac, then know that pop-ups and alert notifications that have no obvious source might be stemming from this software or any other apps related to Xportsoft Technologies Pvt Ltd.
Short Description Mac Optimizer Pro is a PUP, developed by the company Xportsoft Technologies Pvt Ltd. The company is known to have many applications which put various advertisements and scare messages, trying to trick you to install more apps. User Experience Join Our Forum to Discuss Mac Optimizer Pro. The Mac Optimizer Pro unwanted application is being effectively distributed via freeware installers and bundled packages. You can get your Mac affected by it without even being aware, that the Mac Optimizer Pro has installed on your machine with a freeware installation or bundled package. In such packages, additional components for installation are not always disclosed properly (or at all), and you can get tricked into installing apps such as Mac Optimizer Pro. Sometimes this can be avoided if you check the Advanced or Custom option in an installation setup to see the full contents of what you are getting. Suspicious sites are another source for the distribution of PUPs. Visiting such sites can end you up with a rogue program installed on your Mac. 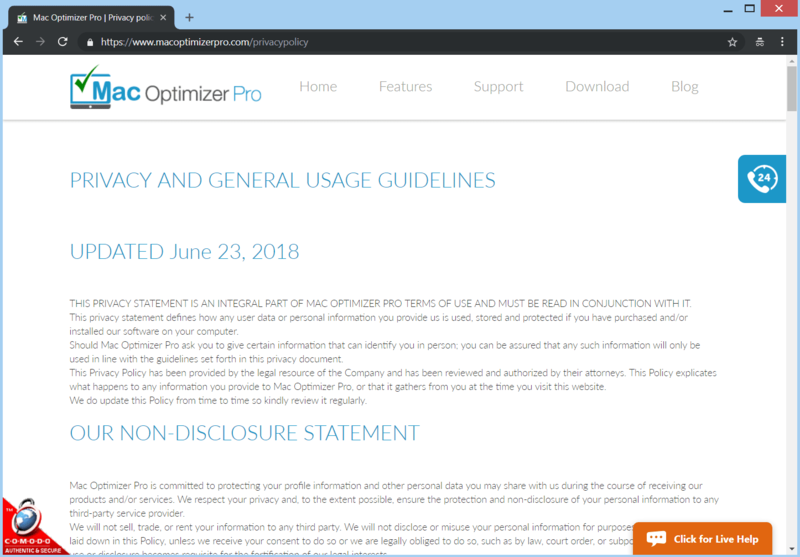 For instance, if you manually go to the official site of Mac Optimizer Pro http://macOptimizer.com , and download it. There are other sites that advertise the program with pop-ups or banners that are probably their partners or belong to the same cloth of people that spread similar software. Mac Optimizer Pro is a potentially unwanted program (PUP), and it is developed by the company Xportsoft Technologies Pvt Ltd. The company is known to have many applications which are considered PUPs and also puts various advertisements in their software to point to other software they have created. Mac Optimizer Pro remains a questionable software as it is also known to show such advertising pop-up messages. Afterward, Mac Optimizer Pro may show a reasonably convincing, but fake variant of the normal OS X dialog message box which says that no suitable app is installed. 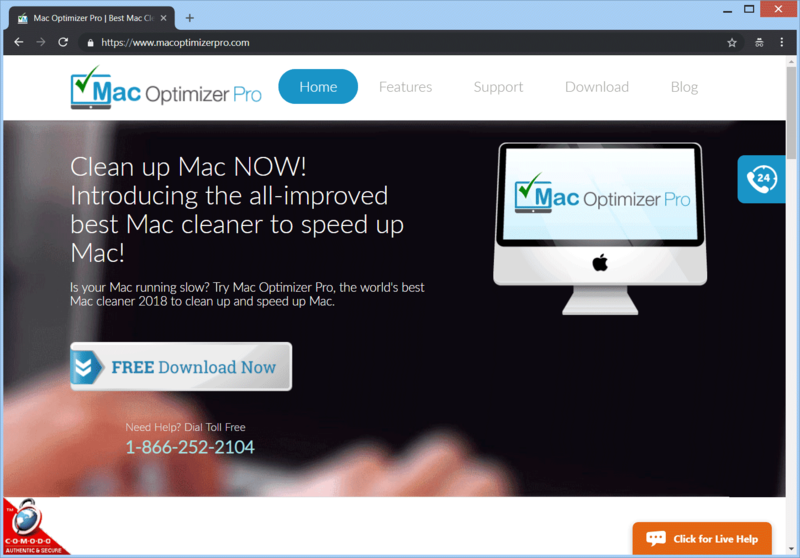 The fake message box links to the official Mac Optimizer Pro website, owned by Xportsoft Technologies Pvt Ltd, which may try to install a similar application to Mac Optimizer Pro on your Mac system. 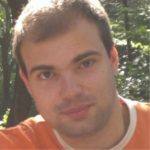 Such programs might have a valid, Apple-provided developer certificate, in which case your macOS will install them without prompting a warning or a notification of any sort. The following pop-up message can show up from time to time, trying to prompt you into installing rogue security software which is probably also related to the Xportsoft Technologies Pvt Ltd company. If you want to remove the Mac Optimizer Pro unwanted software from your Mac machine we recommend that you use a specific anti-malware for Mac machines. The main goal of such a program is to scan your machine and terminate the files with malicious behavior and also clean up any malicious code in your repositories. In addition, with a specific anti-malware program, your computer will remain with a better protection and stay healthy performance-wise in the future. Threats such as Mac Optimizer Pro may be persistent. They tend to re-appear if not fully deleted. A malware removal tool like Combo Cleaner will help you to remove malicious programs, saving you the time and the struggle of tracking down numerous malicious files. Threats such as Mac Optimizer Pro may be persistent on your system. They tend to re-appear if not fully deleted. A malware removal tool like SpyHunter will help you to remove malicious programs, saving you the time and the struggle of tracking down numerous malicious files. Note! Your computer system may be affected by Mac Optimizer Pro and other threats. SpyHunter is a powerful malware removal tool designed to help users with in-depth system security analysis, detection and removal of threats such as Mac Optimizer Pro. 1. Install SpyHunter to scan for Mac Optimizer Pro and remove them. 2. Scan with SpyHunter, Detect and Remove Mac Optimizer Pro. Ransomware infections and Mac Optimizer Pro aim to encrypt your files using an encryption algorithm which may be very difficult to decrypt. This is why we have suggested several alternative methods that may help you go around direct decryption and try to restore your files. Bear in mind that these methods may not be 100% effective but may also help you a little or a lot in different situations. Note! Your computer system may be affected by Mac Optimizer Pro or other threats. Remove Mac Optimizer Pro by cleaning your Browser and Registry. Fix registry entries created by Mac Optimizer Pro on your PC. Combo Cleaner is a powerful malware removal tool designed to help users with in-depth system security analysis, detection and removal of threats such as Mac Optimizer Pro. Step 5: In the Applications menu, look for any suspicious app or an app with a name, similar or identical to Mac Optimizer Pro. If you find it, right-click on the app and select “Move to Trash”. Step 6: Select Accounts, after which click on the Login Items preference. Your Mac will then show you a list of items that start automatically when you log in. Look for any suspicious apps identical or similar to Mac Optimizer Pro. Check the app you want to stop from running automatically and then select on the Minus (“–“) icon to hide it. Remove Mac Optimizer Pro – related extensions from your Mac’s browsers. A pop-up window will appear asking for confirmation to uninstall the extension. Select ‘Uninstall’ again, and the Mac Optimizer Pro will be removed. When you are facing problems on your Mac as a result of unwanted scripts and programs such as Mac Optimizer Pro, the recommended way of eliminating the threat is by using an anti-malware program. Combo Cleaner offers advanced security features along with other modules that will improve your Mac’s security and protect it in the future. Hey !, I found this information for you: "Remove Mac Optimizer Pro PUP". Here is the website link: https://sensorstechforum.com/remove-mac-optimizer-pro-pup/. Thank you.